Back in January 2006, I made a presentation at the Microsoft Office Visio Conference in Home-Sweet-Home Seattle. Good company, good information, and good fun was had by all! You can download plenty of excellent content from that conference, including PowerPoint slides and recorded presentations. 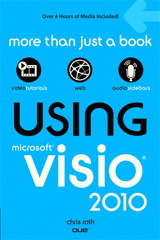 Get it here: Visio Conference web site. Enhance the flexibility of your Visio solutions with XML. In this session you will learn how to use the Visio XML file format, how to store custom XML data islands in SolutionXML, and how to stream Shape XML elements to your drawings using the DataObject. Note: this article used to have a download link to the audio + slides. The technology for that was so old, it didn’t seem to work in modern browsers, so I’ve removed it. You’re a/v download link seems to be broken. Just thought I’d let you know. No idea what went wrong, but it’s fixed now! I have built (and modified … converted to c#,etc) your sample code that uses a XML drawing and adds shapes and connectors to create a drawing using XML… very cool… only example of this I have seen anywhere… Thanks! I have the same issue you left in the example… Visio does not “layout” the connectors until I move a shape or use a “layout command”. Did you find a way to get Visio to layout the connectors when it opens the drawing? I’m trying to create a XML-drawing and everything seems to work fine, only the connectors are not displayed until you move one or more shapes. This is the same problem that Chris Maloney encounters and I was wondering if you already know of a solution. I do not use automation (XML-code is created from within a SQL Server DTS-package). I actually had this problem when I gave the presentation a few years ago, and still haven’t had the time to figure it out. I’ll ask around, see if any of the other Visio Geeks have figured it out. Kind of kills the whole “server-side document generation” thing, doesn’t it? Thanks for your quick reply! For the moment we’ve solved it by opening the diagram and flipping/unflipping each shape. This way the layout doesn’t change but it’s a fairly slow. Hope that we will find another solution in the near future. Have tried flipping/unflipping the whole drawing (page)? This little sub might do the trick a bit faster for you. Since those unrouted connectors are in the lower-left corner of your page, this code first draws a really long diagonal line from ( -pagewidth, -pageheight ) to ( 2 * pagewidth, 2* pageheight ) so that all objects on the page will be symmetrically encompassed by ‘select all’. That way, when we do flip-x twice, the objects on the page won’t move. The links are broken again. Could you somehow fix it? Or tell me where I can download the slides? I want to download the files you provided in the post .. but these are not working anymore ? whats the problem ? please I need them .. how to create XML from code ..
How to find shapes contained in a Group from Visio xml? All shapes inside a Group and outside a Group are children of a Page. So, how can one find containment relationship? If a shape has child elements, then it is a group. The top-level elements under , are, of course, shapes on the page! When I am parsing visio xml, if I encounter a shape of type Group, how can I determine what elements are in that group? The Group has shapes, but how can I relate these shapes to the actual shapes which are always on the page? You look in the element for elements. These are shapes on the page. If a has a element (that isn’t empty) then you’ve found a group. Maybe my question is not clear. I have two shapes with ids “1”(pool) and “2”(task). The task is in the pool shape. When parsing the above xml, how can I determine what group shape the task belongs to? All I see is a bunch of numbers, (which I have deleted from your comment). It’s just a matter of finding parent and child elements. I don’t really understand where you are confused. Is there anyway I can attach a file here? Sorry for the garbage numbers. I am not sure how to determine a child’s parent just by looking at the xml? 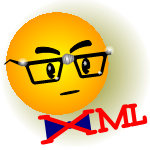 If you have an xml with a child and a parent, can you please point me to the part that indicates parent and child? I can determine based on the location pinX and pinY of a shape, say shape A and checking if this location intersects with another shape, say, shape B and then deduce that shape A is a child of shape B. But, I do not that this is the right way. I realize what the confusion is. If a user has selected some elements and ‘Group’ed using the context menu ‘Group’, then there is a Shape of type Group under the page and this Groups has shapes which are it’s children. But, when a user does not group them explicitly, all these shapes are under the page and I am not sure how I can find the parent child relationship. The example I gave above makes a shape look as if it belong to a parent which is a group. But in the xml, how can I find that? I had assumed that since you were looking for groups, then there were groups on the page. I think you are talking about people placing shapes near each other, perhaps with borders around them so that there is a visual grouping, but no real Visio group. If that’s the case, then you’d have to analyze size and positions of shapes to see if they are contained within one another. Visio’s object model has methods for this, but in xml you are “on your own”. The problem with doing too much in xml (without Visio) is that you eventually start to re-create everything that the Visio application does for you. How can I find all shapes of a certain type in a page using visio xml? I realize I am 9 years late to the party, but this is still relevant for me. Unfortunately, the links seem broken, could you point me to another download direction? Ok, I updated the links (again!) hopefully they will work for awhile!